Howard Phillips Lovecraft was an American author of fantasy, horror and science fiction. He is notable for blending elements of science fiction and horror; and for popularizing "e;cosmic horror"e;: the notion that some concepts, entities or experiences are barely comprehensible to human minds, and those who delve into such risk their sanity. Lovecraft has become a cult figure in the horr… or genre and is noted as creator of the "e;Cthulhu Mythos,"e; a series of loosely interconnected fictions featuring a "e;pantheon"e; of nonhuman creatures, as well as the famed Necronomicon, a grimoire of magical rites and forbidden lore. His works typically had a tone of "e;cosmic pessimism,"e; regarding mankind as insignificant and powerless in the universe. 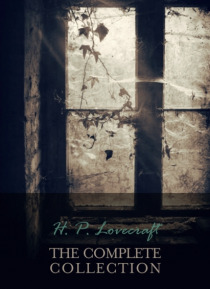 Lovecraft's readership was limited during his life, and his works, particularly early in his career, have been criticized as occasionally ponderous, and for their uneven quality. Nevertheless, Lovecraft's reputation has grown tremendously over the decades, and he is now commonly regarded as one of the most important horror writers of the 20th Century, exerting an influence that is widespread, though often indirect.